Q. I am looking for a thesis written by a UNBC student. In order to search for a thesis written by a UNBC student you can search the authors name or the title of the thesis in the catalogue or in our ONLINE REPOSITORY. 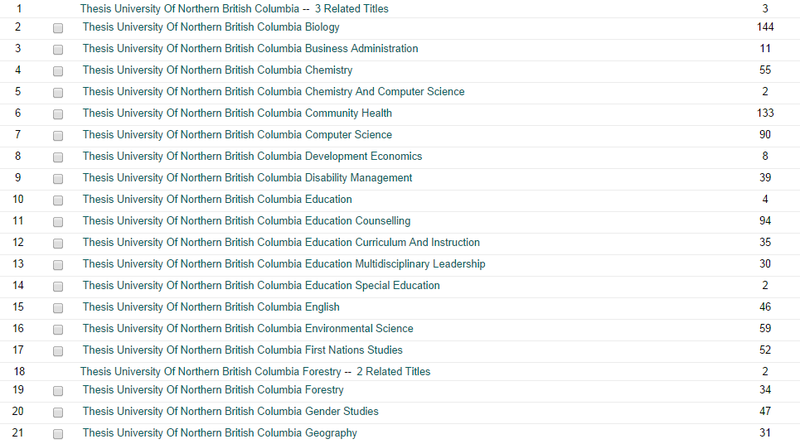 If you would just like to browse the catalogue and look at the theses/dissertations written by UNBC students perform a title search for thesis (University of Northern British Columbia). Then choose the thesis discipline or department that you are interested in. If you want to browse completed dissertations search dissertation (University of Northern British Columbia).